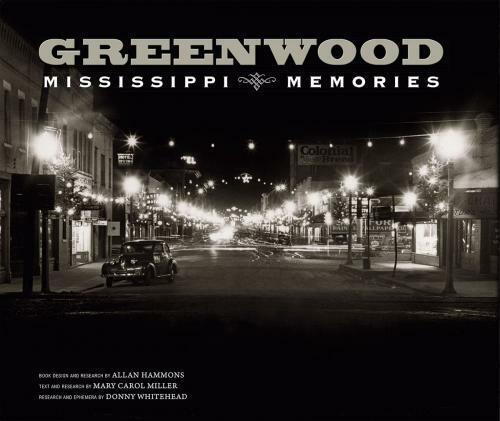 Greenwood: Mississippi Memories, Vol. 2 (Hardcover) | Turnrow Book Co.
Greenwood: Mississippi Memories, Vol. 1 was our best-selling title of 2013. Citizens new and old enjoyed this pictorial tour through the first century of Greenwood, from rugged frontier outpost to bustling cotton market. As fascinating as we found that first volume, the second installment is even more amazing. The book showcases over 300 new photos and text that chronicle Greenwood during the period from the Great Depression to the start of World War II. Once again, local historians Allan Hammons, Mary Carol Miller and Donny Whitehead have collected an impressive array of historical facts and images, including many remarkable photos from the collection of Calvin Cox, a photographer for the Greenwood Commonwealth whose roving artistic eye captured every strata of Greenwood society.